This entry was posted	on Tuesday, March 27th, 2012 at 6:59 pm	and is filed under Podcast Episodes. You can follow any responses to this entry through the RSS 2.0 feed. You can skip to the end and leave a response. Pinging is currently not allowed. That was cool. It would be nice to see some more of these pages sometime in the future. 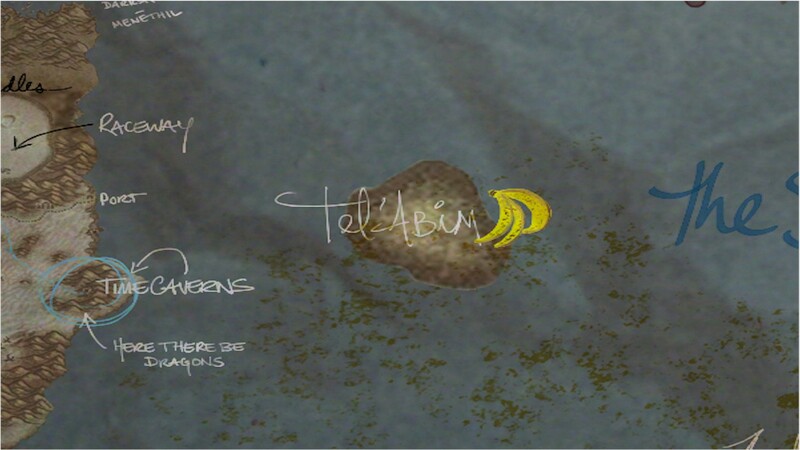 Possibly a reference from the Banana Boat Song (Day-O), as Tel’Abim Banana sounds similar to the line in the chorus “tally me banana”? Hay i found something strange if you go to a flight master in kailmdor a strange island appears in the flight master map near thousand needles it looks like tel’abim island but i dont know also it wont show up if you bring up the map it will only show in the flight master’s map.